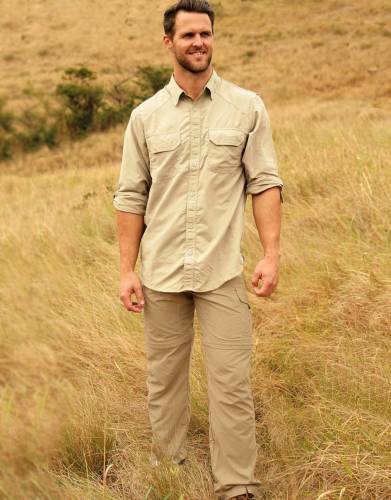 Our fast-wicking fabric draws perspiration away from skin and promotes quick evaporation for maximum dryness and comfort. 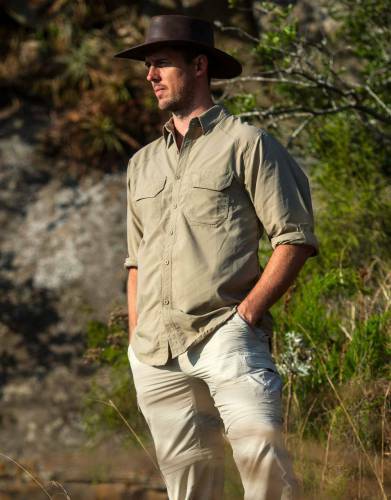 In practical terms the speed at which a garment dries on the washing line is a pretty good indicator of how quickly it will wick moisture away from the skin, through the fabric and into the atmosphere. 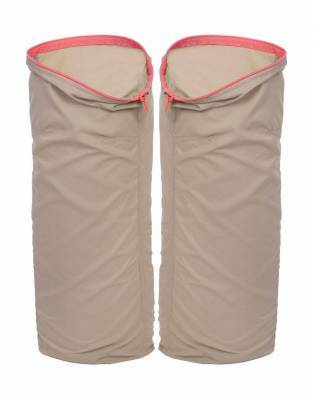 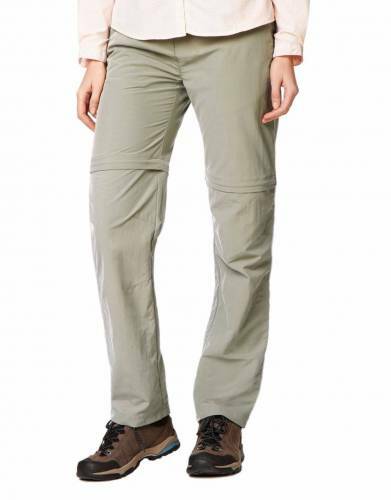 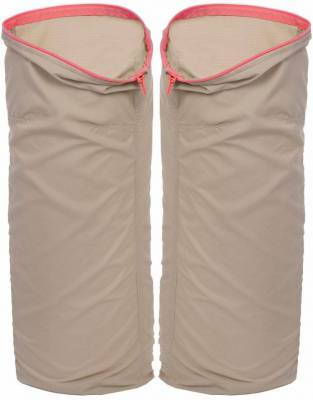 Clothing which uses fast-wicking fabrics are therefore ideal as quick-drying travel clothes. 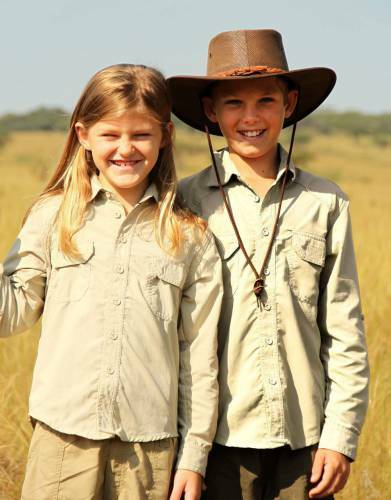 It is important that you pack safari-suitable shirts for your children on safari which also offer maximum protection from the elements and biting insects. 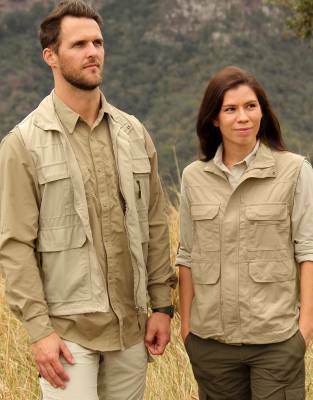 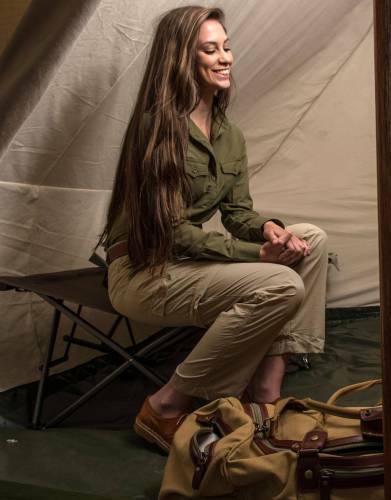 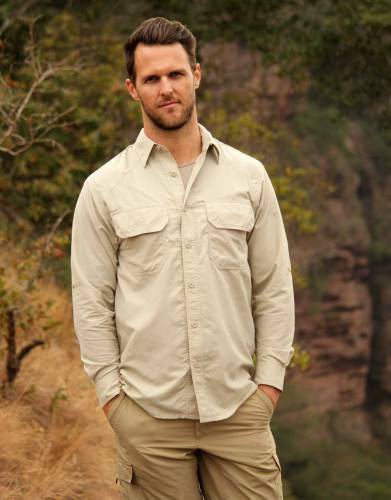 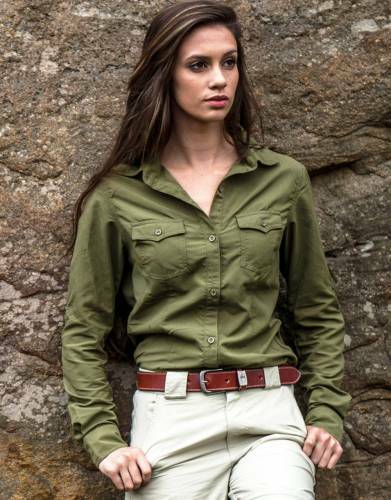 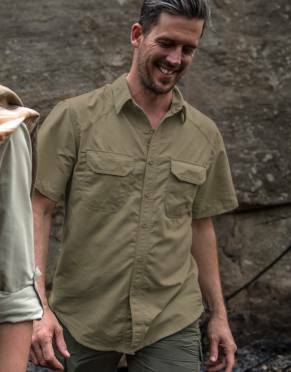 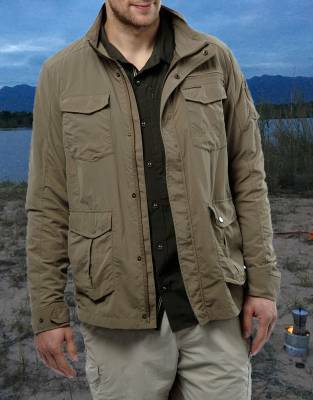 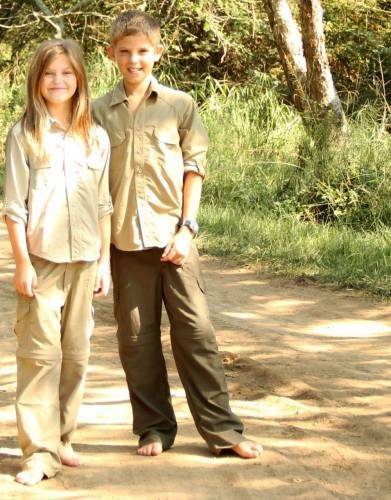 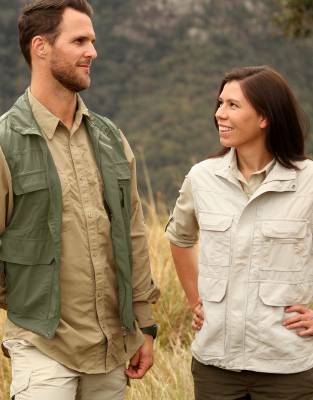 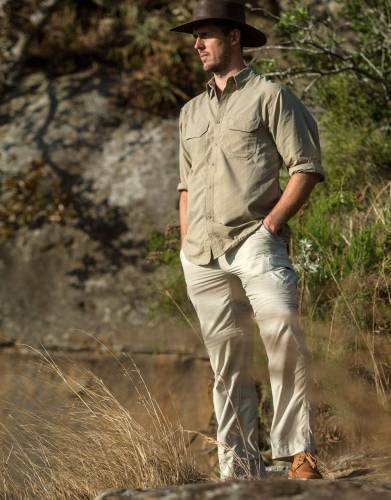 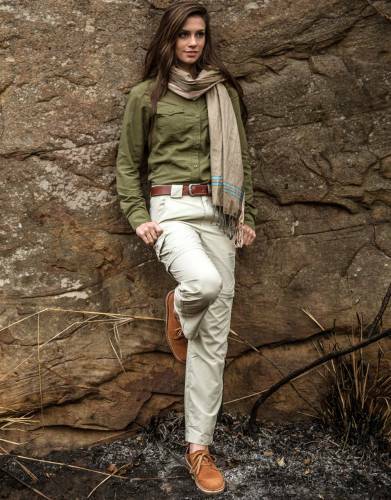 Pack children's safari shirts in neutral, natural tones such as shades of khaki, brown, and green. 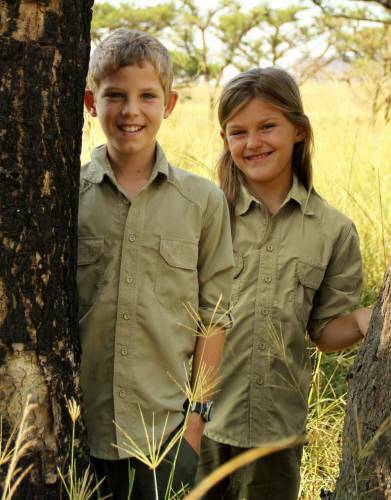 We recommend long-sleeved safari shirts for children with roll-up sleeve tabs over short-sleeved shirts. 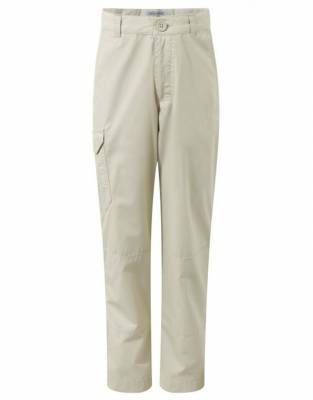 These enable boys and girls to roll their sleeves up and down to stay cool, keep warm, or to avoid sunburn on their arms. 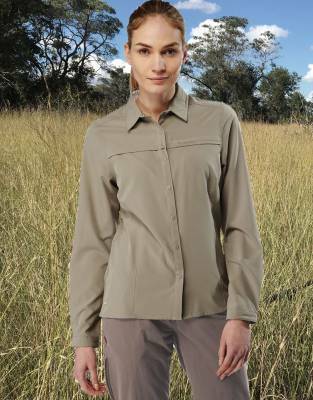 It also increases protection from biting insects when sleeves are rolled down, which is further increased when the fabric is treated with insect protection. 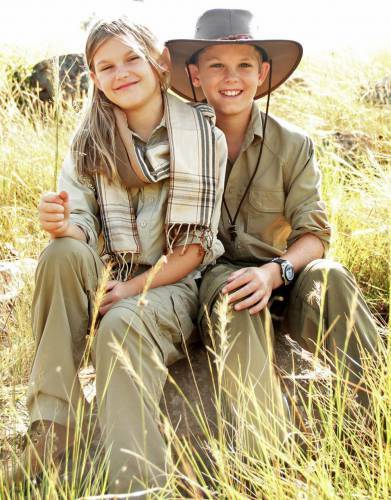 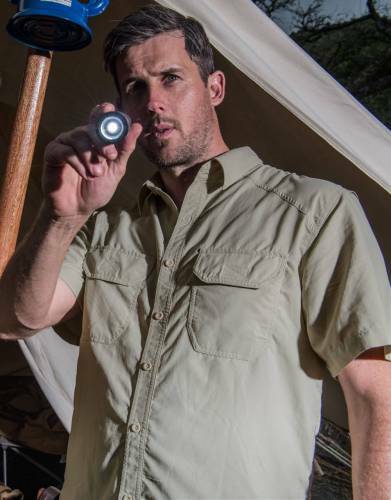 Kids' safari shirts with a collar also give your kids added protection from sunburn - and again from biting insects. 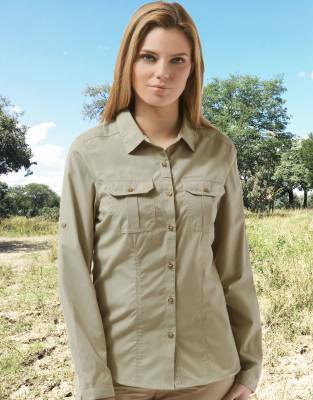 Look for children's safari shirts which have the following key characteristics: the ability to wick moisture to keep them cool, high level of sun protection (SPF50+ is best), and an insect protective fabric finish assists in preventing bites from flying and biting insects. 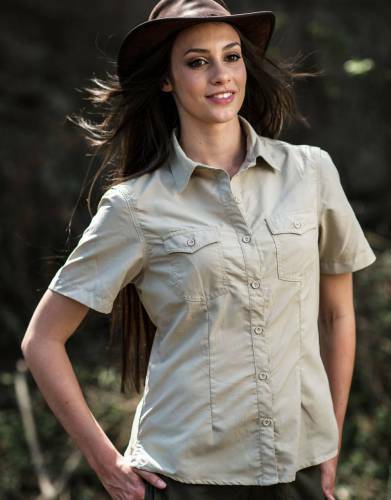 Pack more children's safari shirts made from man-made fibres (polyamide) than natural fibres (such as cotton). 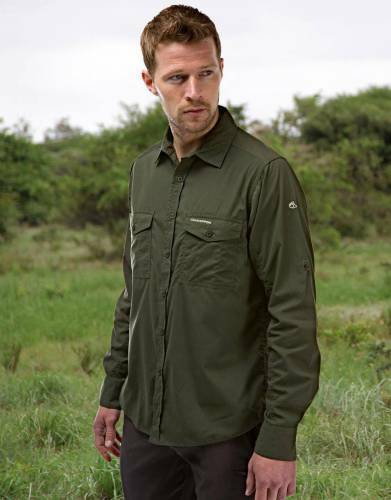 Man-made fibres are better at wicking moisture from the skin - and it is this movement of moisture which will keep them cool.